The interest rate that so oppressed T. P.? A towering 29.99 percent. At this rate, the columnist said, if T. P. continued to pay little more than the monthly minimum, it could take him more than 30 years to pay off his balance — even if he never went shopping again. Trying to fight off a collection agency while paying little or nothing on his credit card debt, another desperate borrower, R. Z., appealed to this same columnist. How could he prevent interest charges and late fees from mounting? He couldn’t, replied the columnist, as long as he legally owed the money. Consumers like T. P. and R. Z. find themselves caught in the complexities of today’s bankruptcy laws. And their predicament is increasingly common. Thirty years ago, the unlucky R. Z. would probably have struck many of his acquaintances as something of a deadbeat: Hadn’t he voluntarily run up a debt and then tried to slip out of the deal? T. P., on the other hand, would have received sympathy as the victim of a heartless usurer (if interest rates equal to one-third of the principal had been legal in those days). But in today’s strange alternative universe of credit card banks, the term “deadbeat” refers not to the improvident borrower but to the solid citizen who prides himself on paying off his balance every month. As anybody with a mailbox knows, credit card issuers make unrelenting efforts to lure accounts from one another as well as to establish new accounts. And what these lenders seek are “revolvers,” people like R. Z. and T. P., who are likely to pay little more than the monthly minimum — and who eventually find themselves in thrall to mushrooming interest payments, abundantly garnished with late fees. As for the morality involved in lending money at exorbitant rates, the word “usury” itself has taken on a quaint, archaic sound, like “jousting” or “necromancy.” What happened? In 1978, the United States Supreme Court delivered a landmark decision that freed banks to charge the interest rates allowed in their home states to customers across the country. This decision, at a time of high inflation, unleashed a national credit storm: states scrambled to relax usury laws in order to attract banks, while banks rushed to establish affiliates in states that weakened or abolished such laws. R. Z. and T. P. are the natural products of this unhappy change. One obvious recourse for people like them is to file for bankruptcy. There’s the stigma to consider, of course. But making such a move would allow R. Z. to end the harassment by the collection agency and both men to make fresh starts free of unsecured debts. Unsurprisingly, in the 25 years since the credit explosion began, personal bankruptcy filings have risen sharply. Bank advocates have argued that this reflected debtors’ increasing abuse of the protections granted by the Bankruptcy Reform Act of 1978. Personal bankruptcies, said the industry, were costing every household a hidden tax of $400 a year, in the form of rising prices and higher interest rates. It mounted a campaign against what banks called an “epidemic” of defaults by debtors. In 2005, these suffering financial institutions succeeded in securing the adoption of new federal legislation, the marvelously named Bankruptcy Abuse Prevention and Consumer Protection Act. Nobody who favored this bill chose to see that the bankruptcy epidemic had been produced in large measure by the banks, or that the real hidden costs were the usurious interest rates these banks charged borrowers. Two simple comparisons demonstrate the point: From 1980 to 2004, personal bankruptcy filings increased 443.45 percent, which is certainly impressive. But over the same time, consumer credit debt rose a bit more, by 501.29 percent. In 1980, less than one personal bankruptcy case was filed for each $1 million in consumer credit outstanding; the figure was slightly smaller in 2004. Bankruptcies tend to rise as amounts of credit rise. No mystery there, and certainly no epidemic. It all suggests that the bankruptcy code was performing remarkably well. But the banks got what they wanted from Washington. Since the law has been on the books, people like R. Z. and T. P. have continued to receive all kinds of credit offers (no limits there), but they may have a much harder time now fending off disaster through bankruptcy protection. A group of credit-counseling firms that provide bankruptcy screening — a step the new law requires — report that 97 percent of the clients could not repay any debts at all, and 79 percent sought relief for reasons beyond their control, like job loss and large medical expenses and, notably, rising credit card fees and predatory lending practices. A boomerang effect has appeared, too. The new law contains a provision forcing many debtors into Chapter 13 compulsory repayment plans. The bill’s backers expected this fresh squeeze on debtors to produce more cash for the banks, but the trend appears to be downward. In adopting the provision, Congress disregarded the advice of every disinterested group that has looked at the question, including three presidential commissions, the Congressional Budget Office and the Government Accountability Office. It also ignored a past House Judiciary Committee report, which declared that such compulsion might well amount to the imposition of involuntary servitude. So the lending goes on. People classed as the “working poor,” now beginning to be tapped by the credit card vendors, no doubt constitute a rich supply of coveted potential revolvers — fresh customers for the banks to draw into the credit maze, with its minimums and its unending late fees. In signing the 2005 act, President Bush declared that it would make more credit available to poor people. Unquestionably so. And 30 percent interest was just what they needed, wasn’t it? Copyright 2007 The New York Times Company. All rights reserved. This article appeared in the January 2007 issue of The Trusted Professional, a newspaper of the New York State Society of CPAs. The Bankruptcy Abuse Prevention and Consumer Protection Act (“BAPCPA”) of 2005 became effective on Oct. 17, 2005. The new law had the overwhelming endorsement of the credit card industry, perhaps because, according to the Federal Government, nearly one million Americans file for bankruptcy every year. James Shenwick, of Shenwick & Associates—a law firm focusing its practice solely on bankruptcy, real estate and corporate law—gave a presentation to the NYSSCPA’s Closely Held and S Corporations Committee on Nov. 17, 2006, in which he outlined key, drastic changes in bankruptcy law, the industry’s motivation for the changes and the impact on the need for CPA services in this area. 1. There is now an increase in the cost and complications of filing for clients and their service providers. 2. There is a resultant decrease in the number of people who are eligible to file for Chapter 7 bankruptcy protection. Shenwick explained that BAPCPA is a radical departure from previous law. For example, he said, in order to be successful in filing, debtors must provide the bankruptcy trustee with a copy of their federal tax return for the year ending before they filed their petition. Section 1308 of the Bankruptcy Code contains many new tax-return responsibilities for Chapter 13 debtors, including that all returns required for the four years ending on the petition date have been filed with the taxing authority by the day before the first scheduled meeting of creditors. In other words, more tax returns need to be filed if petitioners want to be successful in filing for bankruptcy protection—a departure from past requirements. The debtor must provide a copy of tax returns to any creditor that requests them on a timely basis, or the Court will dismiss the case. Further, BAPCPA contains new median income tests and means tests that are complicated calculations, according to Shenwick. The bill became law with the strong endorsement of the credit card and banking industries. Many of the new terms favor these BAPCPA-backers; fewer petitioners are being successful and fewer debts are being discharged. Nearly every other element (aside from those related to tax information) of the process has become more stringent. There are new definitions of current monthly income, debt relief agencies, domestic support obligations and median family income. Credit counseling is required, and debtors must file copies of all payment advices or other evidence of payments. Changes in budgets must be filed with the Court. Moreover, a debtor must receive and file a certificate from an approved, nonprofit budget and credit-counseling agency and file a copy of the debt repayment plan. Shenwick’s presentation made the members aware that taxpayers anticipating bankruptcy have a greater need for professional services. BAPCPA has created a need for services related to tax reporting and filing and financial planning assistance, exceeding that under previously existing law, that CPAs are uniquely qualified to provide. While bankruptcy is something that lawmakers would hope is less frequent rather than more, the laws were designed to help taxpayers and the economy in the long term. Thus, while generated by the misery and financial failure of many, the impetus for new business and practice development for CPAs must be responded to, in the public interest. Currently, there are several bills before Congress written to undo various BAPCPA provisions. In addition, the GAO is studying the impact BAPCPA is having on industry and the economy. For now, it is having one of its intended results: the number of filings is down overall and more debtors are filing chapter Chapter 13 petitions than Chapter 7 petitions. While the numbers are down, the need is up for competent help from attorneys and CPAs for debtors to be successful in their filing. 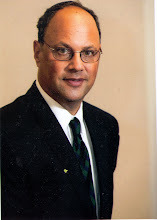 William R. Lalli, CPA, can be reached at wlalli@nysscpa.org.